I got this from RMM. I have no idea how you guys build these drivers as some of the components are mere mm's in size. This is pure flashlight pawn. 5 amps, four modes with 90 second turbo timer, 9 volt LVP and mode memory. Now not to toast it. That is a great looking driver! What are you going to use it in? You have plans for it yet? Yes. Its had a quick test run driving 4 XPE leds at 2.5 amps each. Looks like a nice driver. I haven't built that one yet but I'm starting to build more drivers now and I rarely buy them at all but if I do it's from RMM. Richard is a great guy and runs a nice shop for sure. I think if you factor in the labor his prices on these drivers is fantastic. That's terrific your building your own drivers. Are you programming them as well? they are easier to build if you have a reflow oven or a workaround, like the hotplate / skillet method. 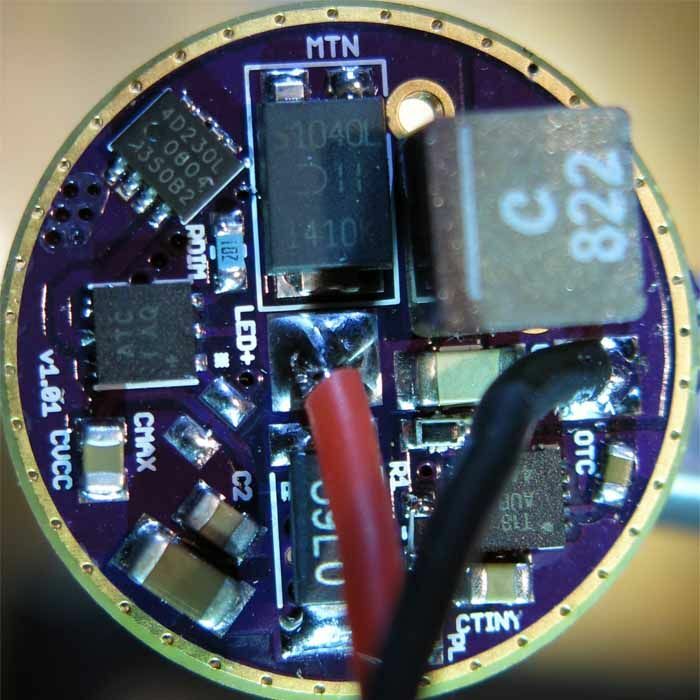 after a few failed attempts at hand soldering a small driver I used the hotplate method and never looked back. the next step would be controlling a IR toaster oven with an Arduino controller and temperature probes.